How To Maximize Your Small Bathroom Renovation In Nova Scotia - Beautiful Baths | Remodeling Made Easy!Beautiful Baths | Remodeling Made Easy! 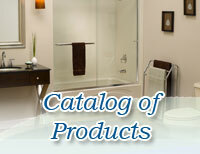 If you are getting your small bathroom renovated, chances are good you are looking to maximize the available space. Before you start the renovation process, it is a good idea to have a plan or at least a few ideas to take along when you meet with your contractor. Knowing what you want for your small bathroom will help you to get the most out of your renovation. If you are looking to get more space for your small bath renovation, here are some tips that may help. In a small bath a window may not be possible. If you can put a window into the space, however, it will brighten the room up and make the space feel less closed in. The bigger the window, the better. Nothing opens up a small space like adding window. Sometimes making a small space feel bigger means adding to the space. Sometimes you can give a place the illusion of more space with a few simple tricks. Lighting is one of those tricks. Darkness can make a place feel smaller. Light opens it up. For your small bathroom, recessed lighting is a good idea. Not only does it brighten the space up, but because the lighting fixtures are recessed, they do not take up any extra space. Having adequate storage is one of the best ways to maximize space. Nothing can make a place feel crowded like clutter. Having places to hide your most used items will help. 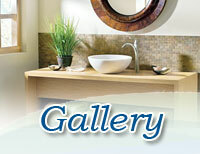 If you can, get a sink with a cabinet underneath or have shelves installed over the sink or toilet. Having attractive looking baskets to store the items you put on your new shelves will help to keep the chaos out of sight and may even keep things more organized. De-cluttering your bathroom is one of the best ways to make it feel roomier. 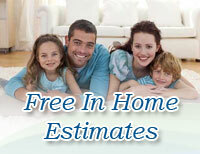 Discuss your storage options during your free in-home consultation. Did we mention that brightening the place up will make it feel more spacious? Lighting is one way to do that. Paint is another. Choose a light colour-- neutrals are always good. A pale colour will give your bathroom a light airy feel. You can easily dress up a neutral bathroom with pops of colour via towels and accessories if you so choose. If your small bath has a shower, consider installing a glass surround for that shower. It takes up the same amount of space as other surrounds, but because it is clear, it gives the illusion of not being there. If you do not have the space in your bath for a shower stall door that opens and closes, a sliding door or even a curtain may be the answer to your problem. When renovating your small bathroom, you may be looking for ways to give your bathroom more space. Sometimes the best you can do is give it the appearance of more space. If you can make form and function join hands, you get the best of both worlds. Perhaps these suggestions will offer you some ideas to help you get the most out of your small bathroom. 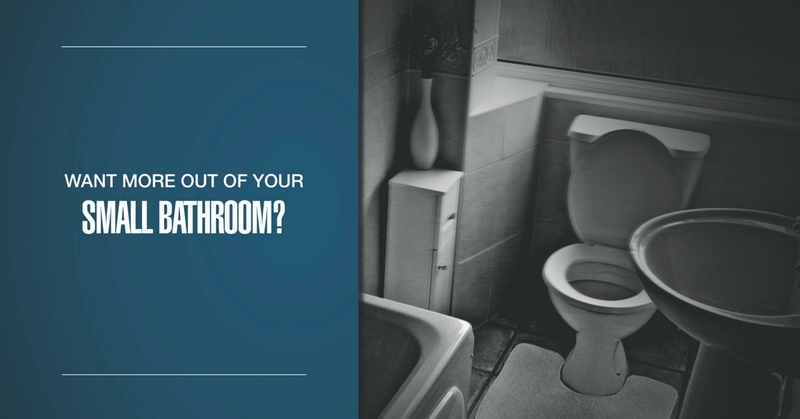 If you would like to discuss option for your small bathroom please don't hesitate to book your no commitment in-home design consultation by calling or booking online here.